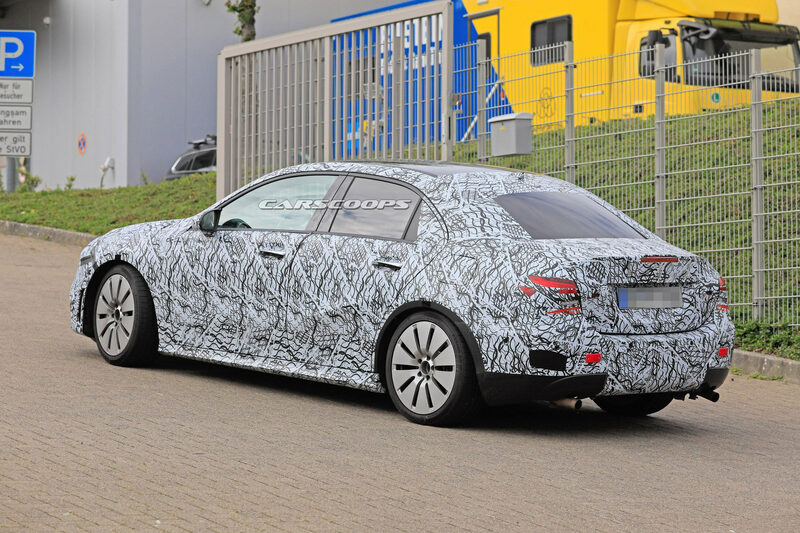 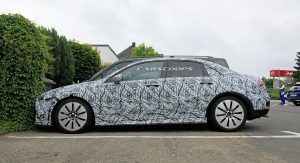 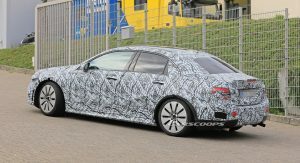 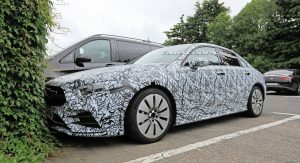 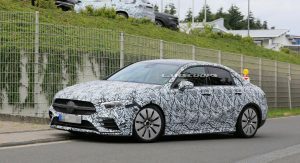 It’s been months since we’ve seen the Mercedes-AMG A35 Sedan but spy photographers have managed to snap new pictures of the Audi S3 competitor. 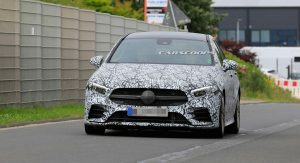 Dressed in heavy camouflage, the performance-oriented model has a familiar design which closely echoes the A-Class L Sedan which was unveiled at Auto China earlier this year. 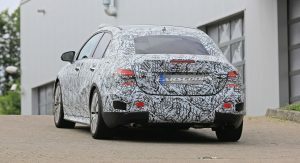 Despite the styling similarities, the A35 features a sport-tuned suspension which lowers the vehicle’s ride height. 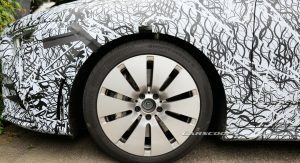 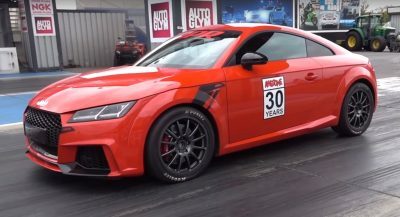 The car has also been equipped with an upgraded braking system that features cross drilled discs and larger calipers. 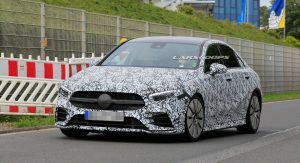 While the A-Class L Sedan gives us a pretty good idea of what to expect on the styling front, Mercedes has previously said the model was developed exclusively for the Chinese market. 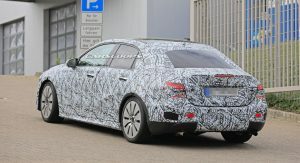 As the L name suggests, the sedan is longer than the standard variant as its wheelbase stretches 2,789 mm (9.1 feet). 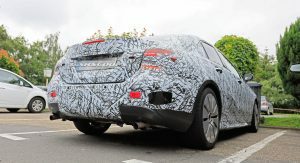 This is 60 mm (2.3 inches) longer than the mainstream sedan. 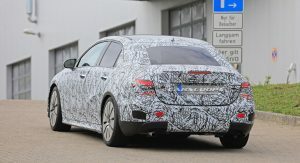 The A35 will be shorter than the A-Class L but it should share a similar cabin. 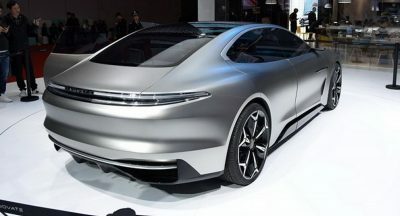 As a result, we can expect a high-tech interior with two displays that measure 7- or 10.25-inches. 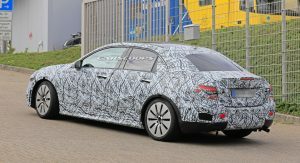 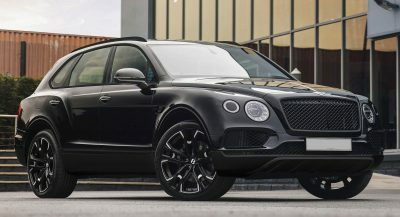 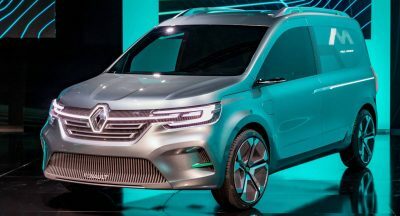 Drivers will also find circular air vents, metallic accents and a push-button ignition. 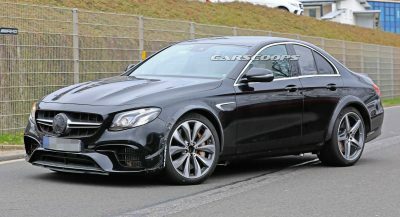 There should also be an assortment of AMG styling cues including a sport steering wheel, special trim and plenty of AMG badging. 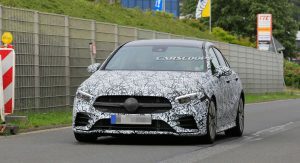 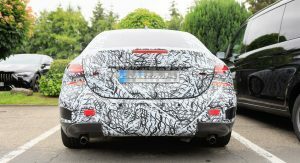 Mercedes has been dropping a few hints about the model and AMG CEO Tobias Moers recently confirmed the car will have a turbocharged 2.0-liter four-cylinder engine that develops “more than 300 hp (223 kW / 304 PS).” This will enable the model to slot comfortably between the A250 – which has 221 hp (165 kW / 224 PS) – and the upcoming A45 / A50 which will have over 400 hp (298 kW / 405 PS).